If download failed,clear the browser cache! 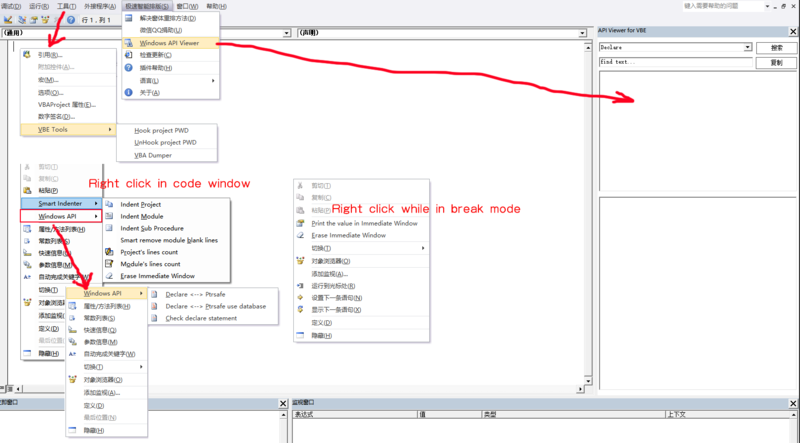 Support dynamically decryption and run VBA encryption code.Don`t need to trust access to the VBA project object model. 1. Smart Indent VBA code lines. 3. Built-in Windows 32/64 bits API Viewer, support 1550 windows api exported as vba statement . 4. Hook VBE project's password. 5. Support print the value of variable or selection in Immediate Window. 6. VBA code dump (Demo). 9. Support language: English,Simplified Chinese and Traditional Chinese. 2、.NET Framework 4.5 was never supported on windows XP and will not install.